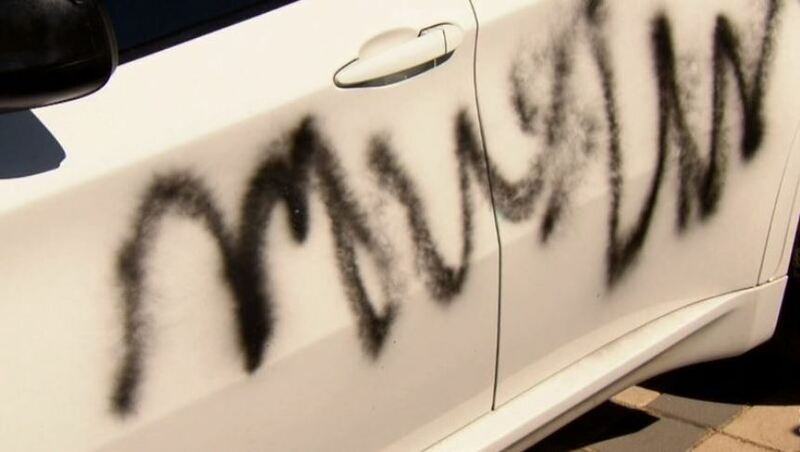 A MUSLIM family in Clarkson was targeted in a hate crime this week. 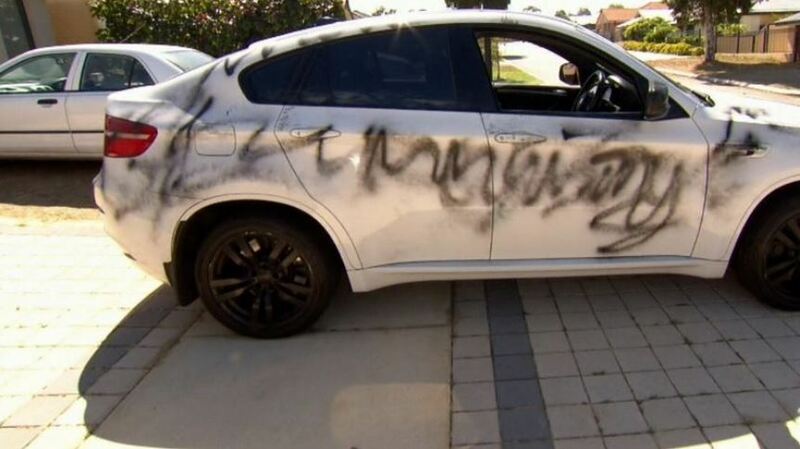 The Hassan family found their BMW had been spraypainted with swastikas and insults when they woke early on Tuesday morning. Mariam Hassan told 9news they were asleep and her husband found the damage when he woke up to prepare a bottle for their 11-month-old son. Clarkson Senior Sergeant Stephen Foley said it was the only incident of that nature reported locally, and was a concern for the community and victims.